The incidence of degenerative joint diseases increases with age and therapeutic procedures such as joint replacement are expensive . 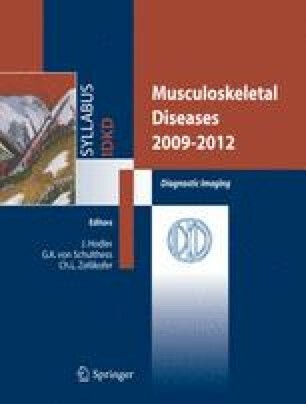 Conventional bone scintigraphy with Tc99m-phosponates is very sensitive in the diagnosis of osteoarthritis. SPECT, SPECT/CT, and 18F-fluoride PET(/CT) increase the performance of planar bone scintigraphy and provide brilliant images even in complex anatomic regions such as the spine or the foot [2, 3, 4]. Differentiation between degenerative joint disease and bone metastases is one of the most important questions in clinical practice. Since uptake in scintigraphy does not always correspond with the symptoms of the patient, exact clinical correlation is crucial.